Hereditary Princess Sophie as well as Prince Nikolaus and Princess Margaretha were among the attendants of a mass for Infante Don Carlos of Spain, Duke of Calabria at El Escorial, a historical residence of the King of Spain, in the town of San Lorenzo de El Escorial near Madrid, on Thursday. 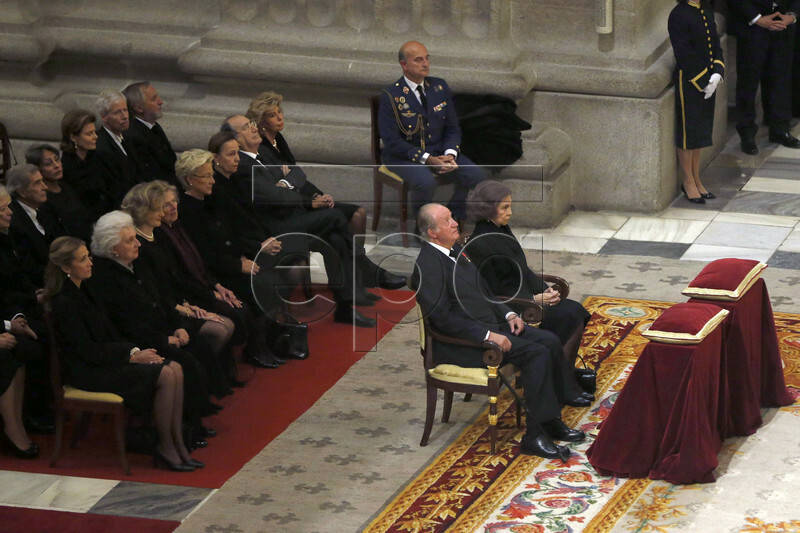 The mass was also attended by King Felipe VI and Queen Letizia of Spain, the former Spanish King Juan Carlos and Queen Sofia as well as a number of other royals and nobles. The Duke of Calabria died on October 5.